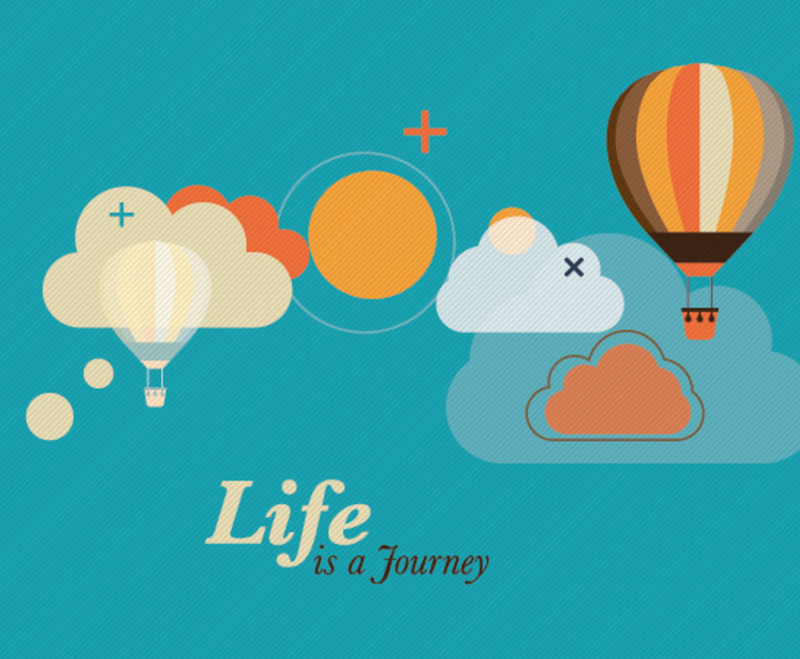 Everyone loves an adventure, and this graphic uses neat, trendy imagery for exciting results. Two hot air balloons make their way across a blue sky. All of the clouds in the image use the same shape, which allows for a sense of pleasant continuity. This is a very organized image with a distinct symmetry, and it's able to use a variety of elements without feeling crowded or complicated. A faint pattern runs across the face of this graphic and gives it an almost cross-stitched appearance. It's light and fun, but engaging enough to pass along a clear message.